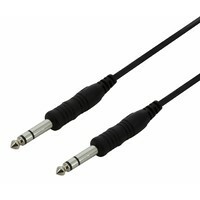 30cm Length - TRS patch cable with 1/4"(m) / 6.35mm 90 degree jack connectors. 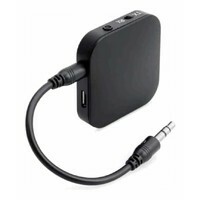 Suitable for carrying a stereo signal between audio devices like rack devices and mixers accepting 1/4" jacks. 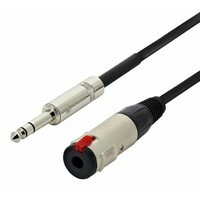 Suitable for carrying a stereo signal between audio devices like rack devices and mixers accepting 1/4" jacks. 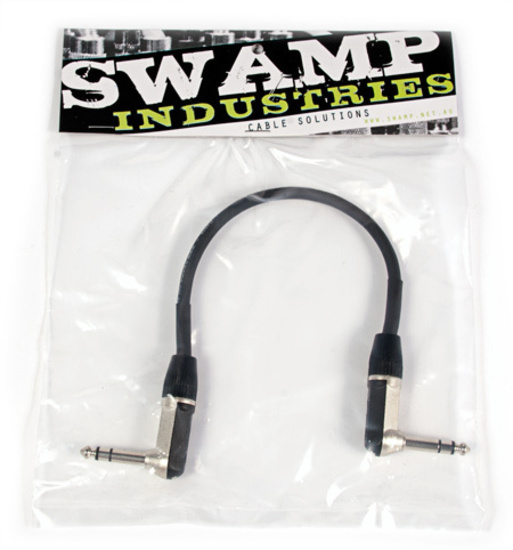 Why use a SWAMP TRS Cable? 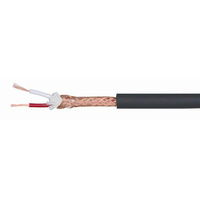 Quality Yongsheng jack connectors, and a balanced cable consisting of 0.22mm2 OFC copper conductors, encased in a full coverage braided ground shield. 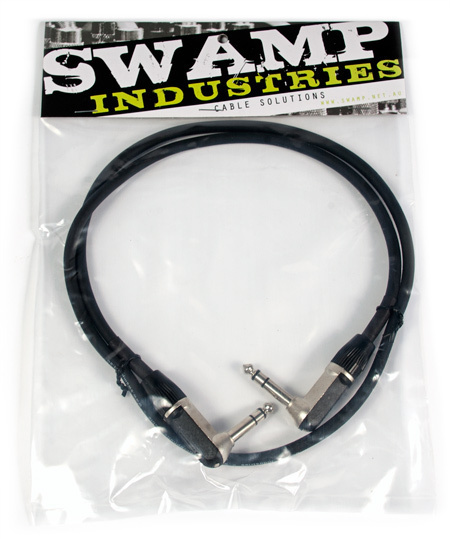 A strong but flexible cable, professionally shielded and terminated with industry standard jacks. Suitable for use on the road on in the studio. 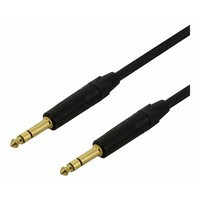 Can a TRS Cable carry a Stereo signal? 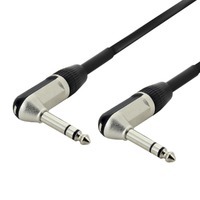 Yes, a TRS cable can be used with both balanced audio signals and stereo audio signals. 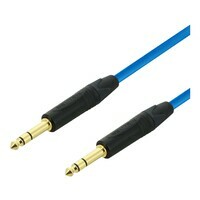 Being a twin conductor cable, it can carry 2 signals. Whether that be a balanced, or stereo depends on what output you connect the cable to. 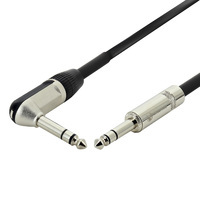 A headphone jack is an example of a stereo TRS output. Promptly delivered and excellent product. 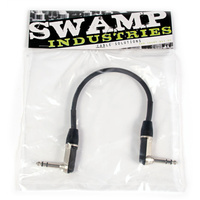 Ideal to connect my Boss pedals . 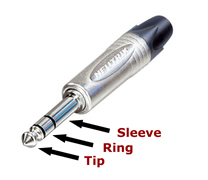 Sturdy, professional look at the best price. Good quality, very good price, great value. 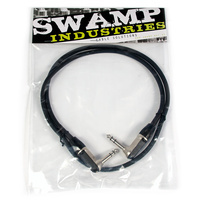 (this is not an Woolies ad - haha) Excellent plugs and cable used in this neatly manufactured patch lead. Great product and top notch customer service! I'll be back for sure!! Does what it is suppose to do with no fuss. Works well with both live and recording gear.